As anniversary years go, 2018 is a big year for Japan. It seems to be passing by without much fanfare though; there’s too much water under the bridge for all-out celebration. The beginning of the industrialized Japanese nation-state with the Meiji Restoration (1868-1912) entailed civil war and a drastic shock to the collective national identity, after all. Despite the fact that the term sakoku (policy of national isolation) has been widely questioned as a useful historical description of Japan’s international relations between 1633-1853, it’s still received wisdom that Japan had negligible contact with the outside world for 200 years of its history. An exhibition at Intermediatheque — the brilliantly quirky museum jointly operated by the University of Tokyo and Japan Post Co. — shows that while it may have been controlled, the contact that did occur is of historical importance. 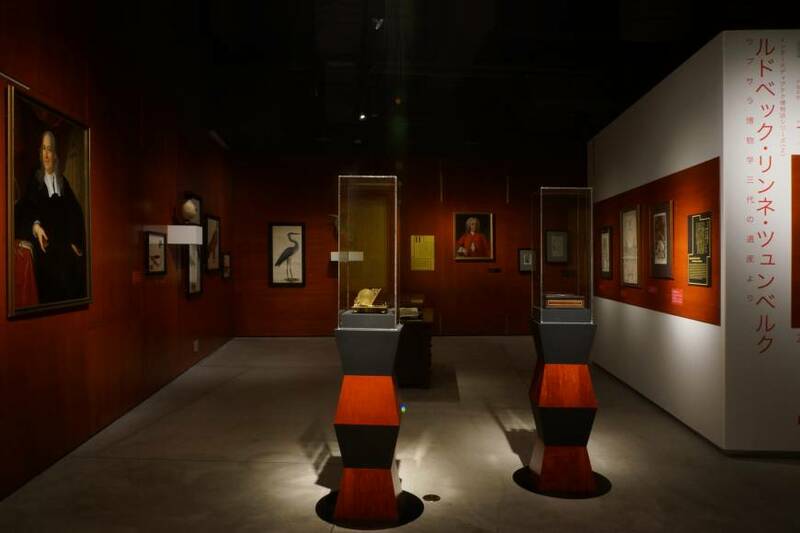 “The Art of Natural Science in Sweden: Treasures from Uppsala University” commemorates the start of diplomatic relations between Japan and Sweden. It features archive exhibits on venerable alumni of northern Europe’s oldest university, including Olof Rudbeck the Elder (1630-1702), considered to be the discoverer of the lymphatic system; biologist Carl Linnaeus (1707-1778), author of “Systema Naturae” and creator of modern taxonomy; and Carl Peter Thunberg, one of Linnaeus’ most accomplished proteges. As a Swedish national, Thunberg had to join the Dutch East India Company as a doctor to be allowed to enter Japan under sakoku in 1775. During his 15-month stay, however, he was nominally confined to the island outpost of Dejima. Despite this, Thunberg amassed samples of an estimated one-fifth of Japan’s plant life and produced the studies “Fauna Japonica” and “Flora Japonica” after returning to Sweden. In a 1943 bicentennial commemorative essay on Thunberg, Nils Svedelius (1873-1960), professor of botany at the University of Uppsala between 1914 and 1938, wrote that Thunberg was able to collect so much material with the help of locals because “from his instruction and his obliging helpfulness, he obtained the happy position of enjoying the full confidence of affectionate Japanese patrons and friends.” A more irreverent assessment of Thunberg, however, can be found in SOAS University of London professor Timon Screech’s 2005 “Japan Extolled and Decried: Carl Peter Thunberg and the Shogun’s Realm, 1775-1796,” which questions the botanist’s authority as an uninterested narrator of his own deeds. Apart, though, from a caption for a few coins that tells us that Thunberg had to smuggle them out in his shoes due to the prohibition on taking currency out of Japan, and a handwritten letter by the son of one of Thunberg’s Japanese interpreters, there is not much in the Intermediatheque exhibition that puts Thunberg’s travels and research, or the magnitude of Linneaus’ achievements, into a relatable context. Compared to the brilliant and provocative design of the Intermediatheque’s permanent exhibitions, this temporary commemorative event is intellectually filling and nutritious. 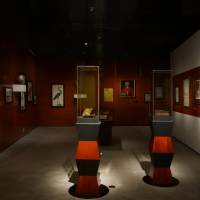 However, in contrast to the curatorial flair with which the rest of the museum has been designed, “The Art of Natural Science in Sweden” could have made more of questioning how the scientific method, our relationship with nature, and Japan’s place in the world have evolved in the last 150 years. “The Art of Natural Science in Sweden: Treasures from Uppsala University” at Intermediatheque runs until Aug. 26; free entry. For more information, visit www.intermediatheque.jp/en.